The following recordings show the amazing variety and individuality to be found in rural music, even at the height of the Great Depression. Every one of these records is an unparalleled classic. “Gimme a Pigfoot” shows Bessie Smith at her rawest and best. Vocally, she pulls out all the stops, hitting the typical highs with her powerful voice, but also unapologetically hitting all the lows with a snarling growl. By the time she sings, “He’s got rhythm – yeah!” there’s no doubt where the song is headed. The rest of the devil-may-care lyrics only add fuel to the fire as Smith calls for not just a pigfoot and a bottle of beer, but also for refer and gin as she demands a good time. 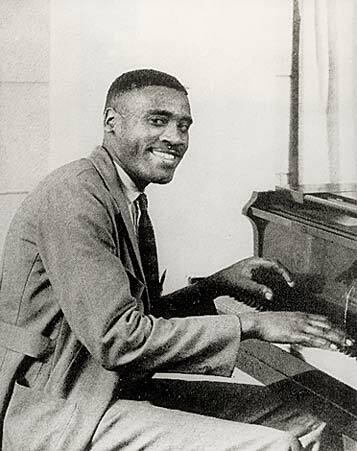 The accompaniment reflects the bluesy rowdiness as well, with the lead piano (by Buck Washington) and trumpet (by Frankie Newton) parts played playfully and loose. Newton’s trumpet solo, in particular, is wonderful as it slurs through the meandering notes and slides drunkenly into the final verse. Also providing colorful touches are swing legends Jack Teagarden on trombone, Chu Berry on tenor sax and Benny Goodman on clarinet. Unfortunately, the November 24, 1933 recording session that yielded “Gimme a Pigfoot” would be Smith’s last. The hard-hit economy and the public’s appetite for newer sounds left her behind, and she was killed in a car crash only a few years later (in September 1937 at age 43). Besides the song’s clever lyrics, Pullum’s version was appealing because of his unique vocal style. He sang entirely in falsetto, but exhibited remarkable vocal control while doing so: his voice was clear and breathy but never shrill. He even sings the lower octaves in falsetto, adding a nasal resonance to give his voice more depth and texture. The result not only sounded great, but distinguished him from his contemporaries. In addition to the spellbinding falsetto, Pullum adds other captivating little touches, like rolling his r’s throughout. He ends the song on a threatening note, making a wonderful nasal growl as the narrator promises revenge on the woman who did him wrong. “Blues Before Sunrise” is another classic from urban blues pioneers Leroy Carr and Scrapper Blackwell. This is one of the darkest songs the duo ever recorded, with subject matter that skips right over melancholy to despair and ultimately murder. Fittingly, except for the occasional high, falsetto flourish, Carr keeps his voice at the bottom of his range throughout the song. His piano playing, too, is slow and deliberate. Meanwhile, Blackwell’s exquisite slide guitar perfectly captures the song’s depressing tone. Blackwell knows just what to play – and what not to play – to control the emotional impact without distracting from the vocals. 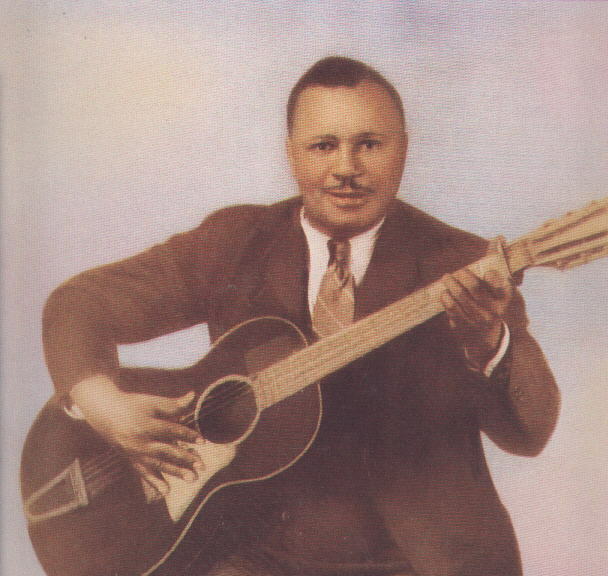 Although he’s playing an acoustic guitar, his technique so influenced later electric blues guitarists that the record sounds years ahead of its time. Unfortunately, Carr’s finest moment would prove to be his last. He died suddenly at age 30 in April 1935, the same month this record was released. “Drop Down Mama” is another amazing example of Sleepy John Estes’ “crying” blues style. Estes plays solid rhythm guitar while Hammie Nixon takes lead on harmonica, but the real focus of the song is on the weary, tortured vocals: “Now drop down, baby, let your daddy be / I know just what you’re trying to put on me.” Estes’ voice creaks and moans throughout, and he stretches out the last word of every line, teasing out every last ounce of feeling. 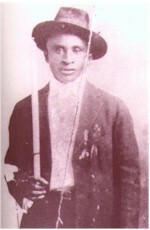 Accordionist and singer Amédé Ardoin was the first Louisiana Creole musician to be recorded, and was a big influence on all of the Creole and Cajun music that would follow. The Creoles were related to the Cajuns, but had mixed French, African American and Native American ancestry, rather than descending strictly from the white French Acadians. Like their ancestry, Creole music (known at the time as “la-la”) was a blend, taking Cajun instruments and song structure as its base and adding new rhythms and bluesy vocals. This music would eventually evolve into what is now known as zydeco. 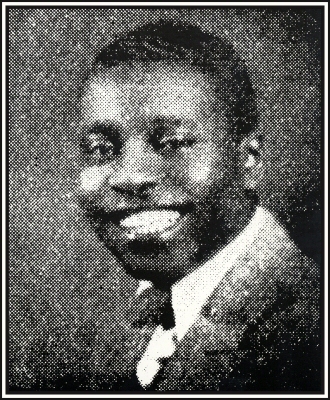 Beginning in 1929, Ardoin frequently collaborated with white Cajun fiddler Dennis McGee, making them one of the first openly interracial acts. The combination proved a powerful one, as demonstrated by “Les Blues de Voyage” (“Travel Blues”). Accordion and fiddle play so well off of each other that at times it is hard to tell where one ends and the other begins. Ardoin half-sings, half-cries out the French lyrics, his high, resonating voice expressing a passion that needs no translation. As always, Sara’s weary-yet-strong vocals are top-notch, and A.P. and Maybelle do a fine job on harmony during the catchy chorus. It is Maybelle’s guitar work, though, that stands out the most in this performance. After a hesitating, slow start, her playing begins to gain speed and confidence. By the end of the first chorus, the guitar has taken control of the melody and assertively drives the song forward.